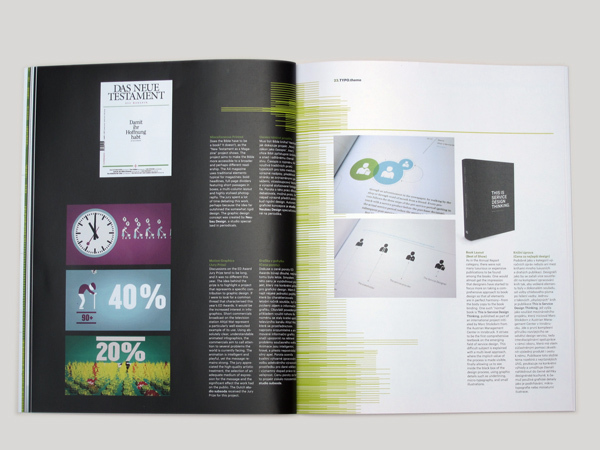 TYPO #44 presents and comments on the winning entries in the European Design Awards 2011 competition. 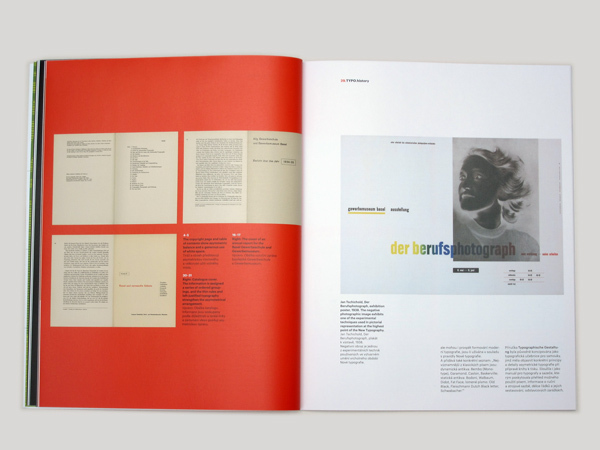 Richard B. Doubleday looks back at Jan Tschichold’s 1935 book Typographische Gestaltung (Typographic Design), a follow up on Tschichold’s acclaimed publication Die neue Typographie (The New Typography). 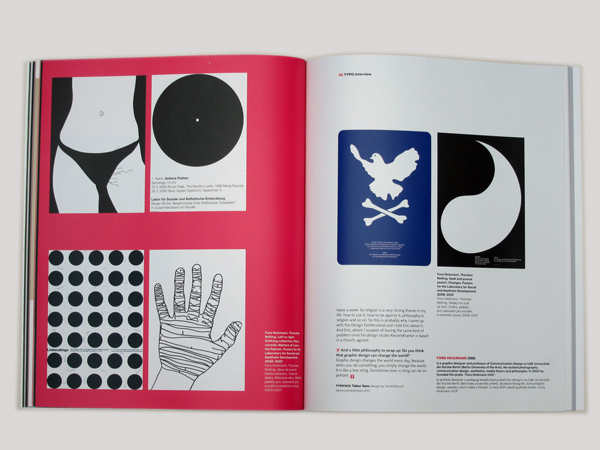 Read an interview with a major figure in contemporary graphic design, Fons Hickmann, about kitsch, his approach to students and his studio, m23. 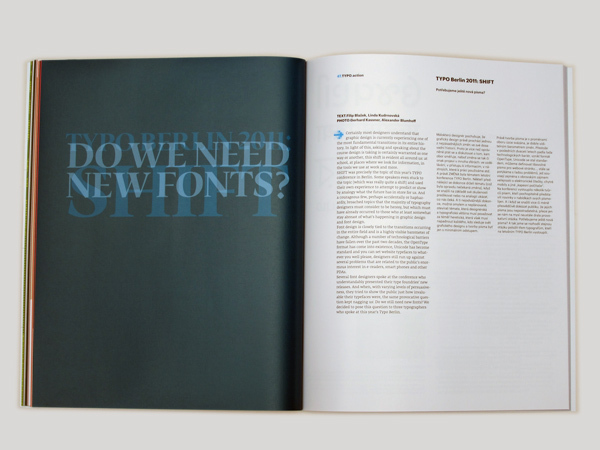 Are new fonts still needed? 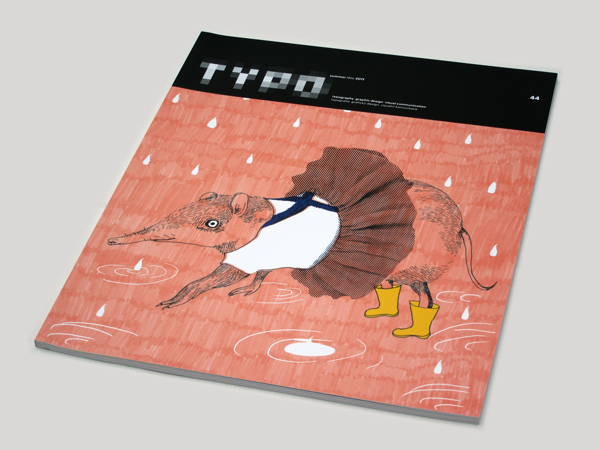 We asked three successful typographers from three culturally and geographically diverse environments who spoke at this year’s Typo Berlin conference: Peter Biľak from the Netherlands, Kris Sowersby from New Zealand and Pascal Zoghbi from Lebanon. 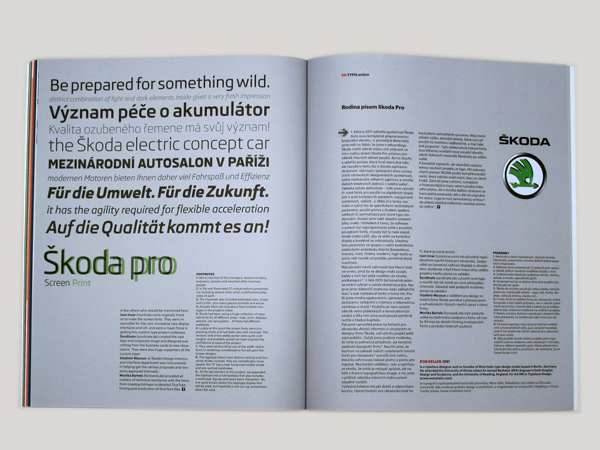 In the end section, learn about the background behind Škoda Auto’s new corporate font or read Jan Solpera’s thought-provoking essay on posters.